Officially named Victoria Peak, the Peak, as it's known locally, is a mountain directly above Central. Thanks to its height it was the residence of choice for many of the city's early colonial administrators, who were trying to escape the oppressive humidity and persistent mosquitoes in the city below. Primarily, the best city views in the world. 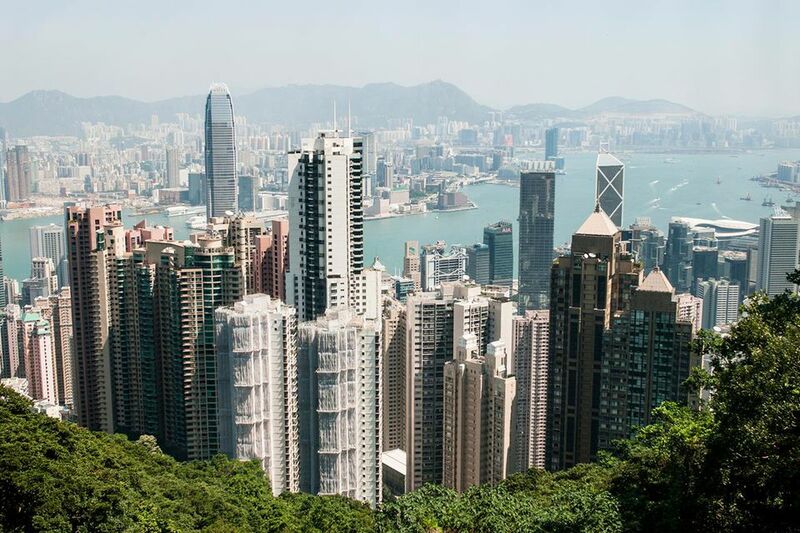 Hong Kong's stunning cityscape is no better seen than at the top of the Peak. This can be viewed via the Peak walk, which takes you on a circle of the mountaintop taking in views of both the city and the South China Sea. The cityscape view remains one of the greatest man-made views on Earth.​ The Peak is also relatively underdeveloped, and apart from two shopping and entertainment complexes, it remains surrounded by greenery. The two complexes, the Peak Tower and Peak Galleria, feature a host of restaurants and coffee bars. The Peak Tower, which has just undergone a multi-million dollar redevelopment, also contains a viewing platform at its top and Madam Tussauds Hong Kong at its bottom. The Peak Tram will deliver you right into the belly of the Peak Tower. Day and night are both spectacular for viewing, however, if you need to choose, the neon lights of Hong Kong's giant skyscrapers are most majestic at night. Make sure that the day isn't too cloudy or polluted; otherwise, you'll have a wasted trip. The Victoria Peak Hong Kong Tram - From Garden Road, Central. Number 15 Bus. From Admiralty MTR Station. The Victoria Peak Hong Kong Tram is the traditional and most picturesque way of climbing the Peak. Built over 100 years ago, the tram climbs at an improbable angle but affords some excellent views over the city below. However, the scenic bus route is not to be underestimated, the number 15 bus weaves it's way up Victoria Peak a little slower than the tram and in the process takes in some equally stunning views over Central as well as the Happy Valley Racecourse.